Now the sequel to the legendary PWOn Fucked up comes. Fucked up has once again received the little extra that distinguishes it from the crowd. In each serving, you will receive a balanced dose of creatine malate and beta alanine, adaptogens and uplifting as well as focussing substances that will help you perform more. Creatine malate has well-known properties as it dissolves more easily in water than monohydrate and is absorbed easily by the body. Beta alanine gives a sense of tingling of the skin and works by helping to buff the karosin levels in the muscles and thereby reduce lactic acid. GN Nutrition 100% Whey light – pure protein is an excellent quality undenatured ultra-filtered whey protein concentrate and whey protein isolate. Whey protein is considered the king of all proteins as it has the highest biological value (BV). 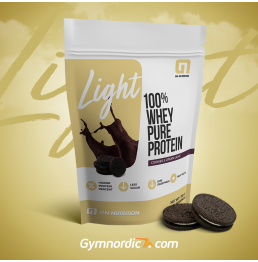 GN Nutrition 100% Whey light– pure protein contains approximately 10% intact immunoglobulin protein microfraction that helps to support the body’s immune system. Whey protein also has the ability to enhance endogenous glutathione production. Glutathione is the most powerful naturally occurring anti-oxidant in the body. GN Nutrition 100% Whey light– pure protein also contains quadrapeptides, which have been shown to have a pain-killing effect, thus your soreness after an intense workout can be decreased. 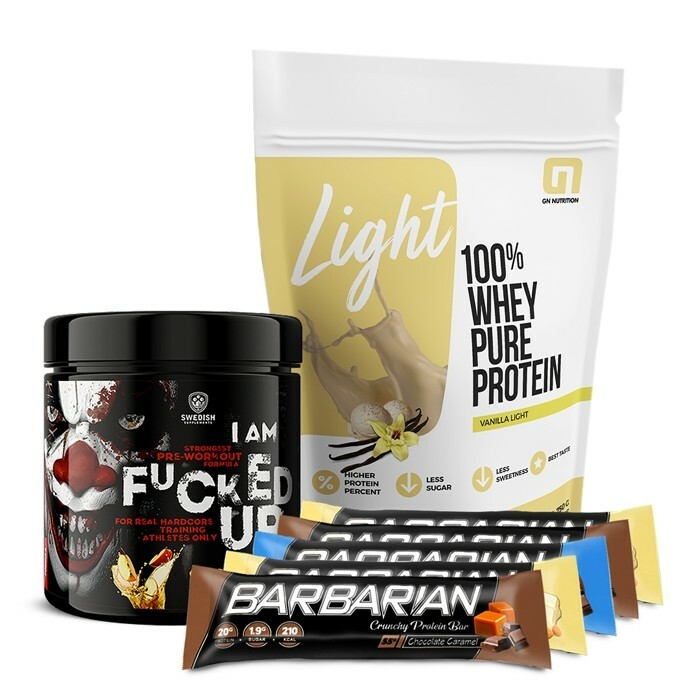 GN Nutrition 100% Whey light– pure protein is low in lactose, fat and carbs with a natural delicious light taste which makes the shake super easy and enjoyable to consume. 100% aspartame free formula! 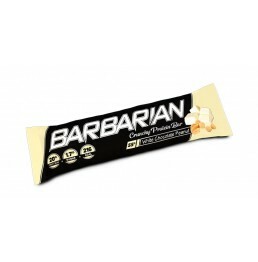 Ingredients: Ultrafiltered, pasteurized and instantized whey protein concentrate and whey protein Isolate(from Milk, Emulsifier: Soy Lecitihin), Flavors (Vanilla, Creamy Vanilla, Yoghurt), Sodium Chloride, Sweeteners (Acesulfame K, Sucralose), Thickener (Xanthan Gum), Instantized Whey Protein Isolate (from Milk, Emulsifier: Soy Lecitihin), Bromelain extracted from Ananas comosus (1200 GDU/g), Papain extracted from Carica papaya (1,5 FIP u/mg). Ingredients: Ultrafiltered, pasteurized and instantized whey protein concentrate and whey protein Isolate (from Milk, Emulsifier: Soy Lecitihin), Fat-Reduced Cocoa Powder (10-12%), Flavors (Chocolate, Dark Chocolate), Sodium Chloride, Sweeteners (Sucralose, Acesulfame K), Thickener (Xanthan Gum), Instantized Whey Protein Isolate (from Milk, Emulsifier: Soy Lecitihin), Bromelain extracted from Ananas comosus (1200 GDU/g), Papain extracted from Carica papaya (1,5 FIP u/mg). 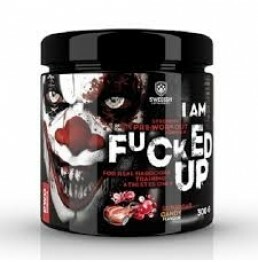 Ingredients: Ultrafiltered, pasteurized and instantized whey protein concentrate and whey protein Isolate (from Milk, Emulsifier: Soy Lecitihin), Flavors (Banana, Cream), Sodium Chloride, Thickener (Xanthan Gum), Sweeteners (Sucralose, Acesulfame K), Instantized Whey Protein Isolate (from Milk, Emulsifier: Soy Lecitihin), Bromelain extracted from Ananas comosus (1200 GDU/g), Papain extracted from Carica papaya (1,5 FIP u/mg).